The weather is just crazy. Down our way it just can't make up its mind. It gets cold and we are scrapping frost off the windshield at 5am; its muggy and hot and you break a sweat walking to the car; or it just rains. That's all in just one day. I have always been told the one thing you can count on about the weather in South Texas is that it will change. I keep telling myself, just be happy it's not 100 degrees. I hate the heat. Oh well....I hope everyone is staying warm, or cool depending on were you live. 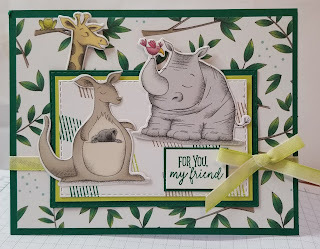 This week the Global Design Project is a sketch challenge. 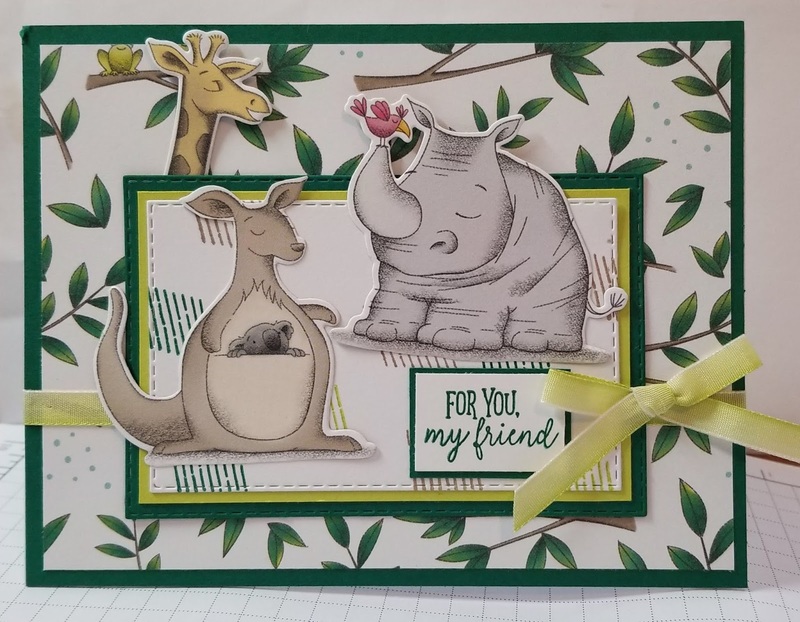 I have been playing with the latest Paper Pumpkin kit that coordinates with the Animal Outing stamp set so I chose that for my card. It has some fun DSP in happy, cherry colors that coordinates. 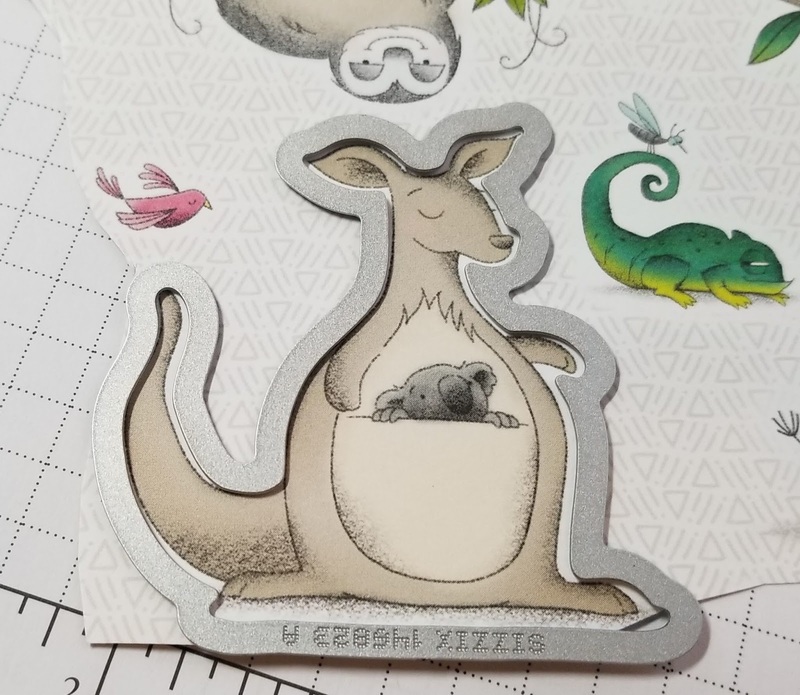 Of, course the animal are just adorable, perfect for fun valentine projects, kid projects or animals projects in general. The primary colors of Shaded Spruce, Lemon Lime Twist and Crumb Cake work really nicely together. The sentiments in the set will work for babies, friends, thank you and love. That's great variety. In addition, this stamp set has coordinating framelits that actually will cut out not only the stamped images but the some of the images on the DSP. The first time I ever saw this done was about a year or so ago when Stampin Up did it for the first time. This really expands the possibilities. I have a feeling we will continue to see this in the future since it has been very popular. This is also great for anyone that is a little intimidated by there coloring skills or maybe hasn't built their coloring medium stash yet. Perhaps you need something made quickly, no coloring time. However you use them, you will love the options. Big News: Stampin Up has begun the demonstrator pre-order for the second release of Sale-a-bration items. They include 2 new stamp sets, an embossing folder and more DSP. Customers can began selecting these new items with a $50 purchase on February 16. Along with the new SAB items, they have also released 4 framelit sets that coordinate with the existing SAB items; a new punch and a new stamp set. 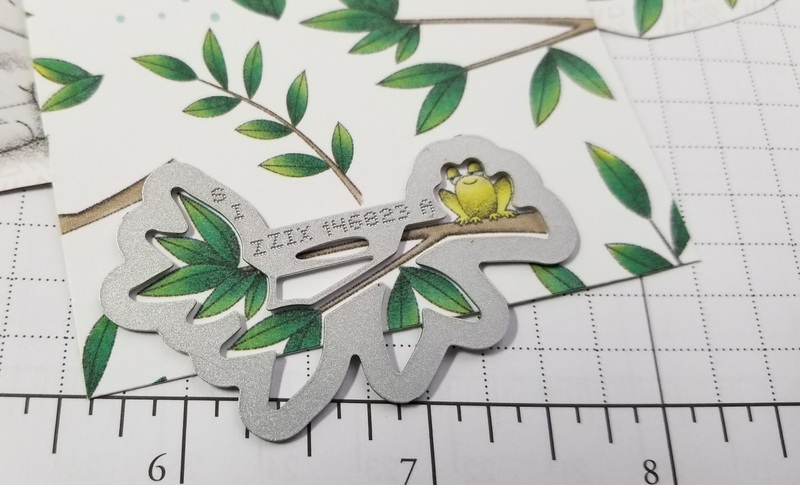 If you love those little frogs, the dies are on their way. 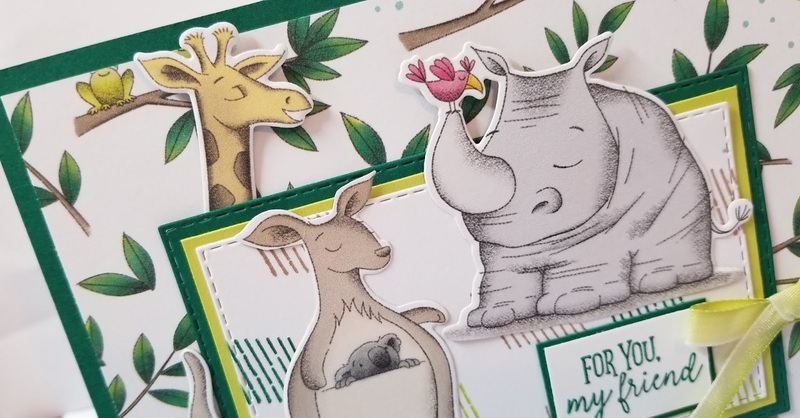 These coordinating products will be available to customers during the month of March only. Stay tuned for more info to come. Thanks for stopping by today. 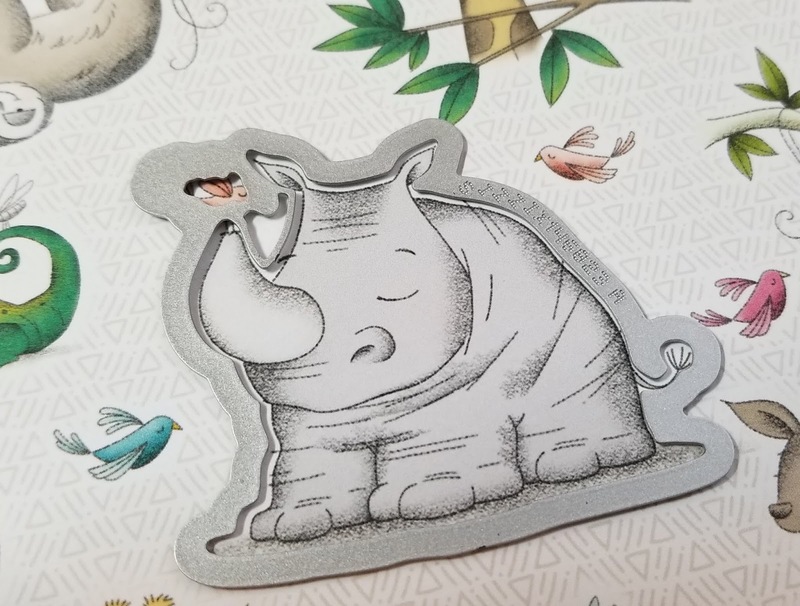 I really had fun with this project and I hope it makes you smile. Be sure to contact me if you have any questions.